For hundreds of years, witch hunters operated throughout Europe. Their motivations ranged from superstitions and paranoia to an incomprehensible religious zeal. Sometimes, it was just politics. 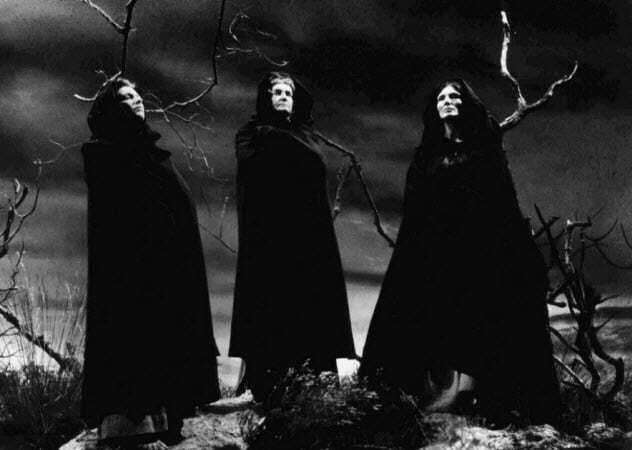 Nevertheless, it’s estimated that tens of thousands of people were executed for witchcraft in Europe. The witch hunters mostly framed terrified old women. But every so often, a witch trial turned up something much weirder. 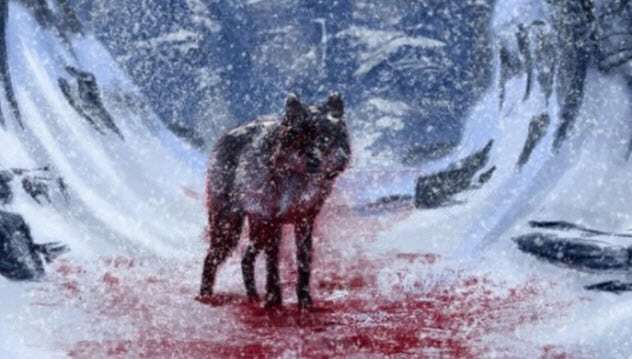 According to Thiess, on certain days of the year, the spirits of werewolves would journey to a “place beyond the sea” and descend into Hell in wolf form to battle the Devil and prevent him from stealing the harvest. The werewolves would triumph over the Devil and beat him with rods of iron. But if they delayed on the journey, they would find the gates of Hell barricaded against them and the harvest would fail. Thiess’s own nemesis was a dead witch named Skeistan, who would face him in Hell and had once broken his nose with a broom. Under repeated questioning, Thiess insisted that werewolves served the Church and angrily shouted that they were closer to God than the local priests. He was ultimately sentenced to 10 lashes. Theiss gained renewed attention in the 20th century because his testimony sounds remarkably similar to the benandanti (“good walkers”) and other southern European groups. The good walkers (benandanti) were members of a widespread and apparently ancient dream cult uncovered by the Inquisition in the Friuli region of Italy. As the seasons changed during the “Ember Days,” the benandanti would enter deathlike trances and journey as spirits to a valley at the end of the world. There, they would wage an epic battle with evil witch-spirits to ensure the safety of the harvest. The benandanti were identified at birth, usually by being born with a caul. Belief in them was widespread, and any walker who refused to enter the trance on the Ember Days risked being beaten by his fellow villagers. Without exception, they were shocked at the suggestion that shamanic spirit battles were un-Christian. The taltos were most notable for fighting each other in the sky. 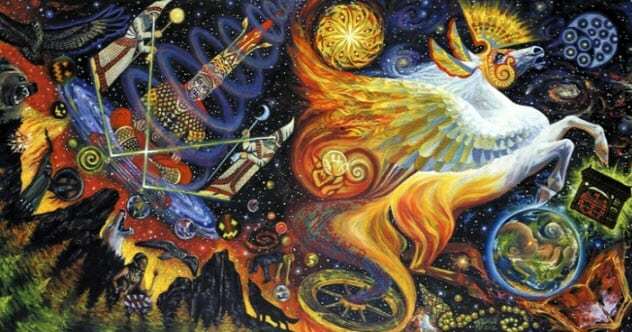 While their bodies were in a trance, their spirits would take the form of bulls, stallions, fireballs, fiery wheels, or discs of metal. Then they would ascend into the skies, where they would duel in thunderous battles. Many taltos would show off wounds they claimed were gained in these battles, which determined the good fortune of their communities. The taltos were the subject of a severe crackdown in the 18th century, and many were tortured or executed. In 1587, a puzzled inquisitor in Sicily hastily sent a warning that “a new sect of witches has come into being.” The Sicilian witches deeply confused the Inquisition because they claimed to be in contact with spirits but didn’t fit the Church’s model of horrifying encounters with the Devil. 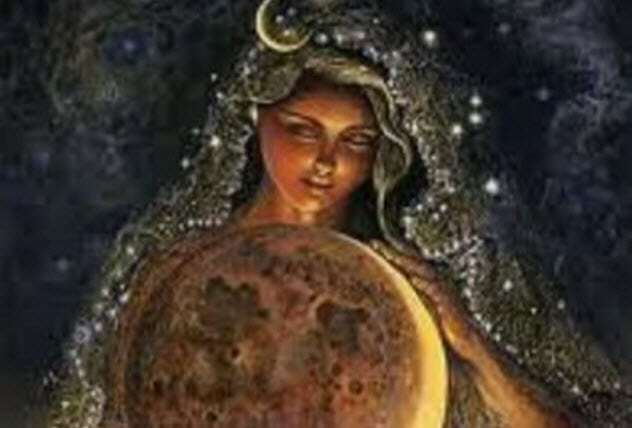 Instead, they claimed to communicate in dreams with the “ladies from outside” (donni di fuora or donas de fuera), a race of beautiful beings with the feet of cats or other animals. She described a kind of witches’ Sabbat—but without devils or any of the usual nasty details; everything that Laurea de Pavia described was beautiful and delightful . . . there was a great plain there on which stood a large platform with two chairs. On one of them sat a red young man and on the other a beautiful woman; they said she was the queen and the youth was the king . . . they told her that she must not worship God or Our Lady. The ensign made her swear on a book with big letters that she would instead worship the king as God and the queen as Our Lady, and promise them her body and soul. After she had worshiped them like this, they set out tables, ate and drank and danced, and then the men lay with the women and with her and made love to them often in a short time. The tempestarii were a class of storm wizards in ninth-century France. They obtained power through their supposed alliance with the people of Magonia, who sailed through the sky in ships that passed through the air like normal ships passed through water. The Magonians paid the tempestarii to be their agents on Earth, and the tempestarii would in turn extort money from local farmers. If the farmers didn’t pay, the Magonians would summon a storm to destroy the crops. The tempestarii are mentioned in several sources, most notably a polemic by Bishop Agobard of Lyon. He was angry that people paid the tempestarii and then pleaded poverty when it was time to tithe to the Church. Belief in the sea in the sky persisted long beyond the ninth century. Gervase of Tilbury, a 12th-century historian, related how an anchor once fell out of a cloud and caught on a church. The people below saw a man climb down the rope, moving like a man underwater, and free the anchor. They seized him, but he appeared to drown in our air and quickly died. Kresniks were spirit warriors from Istria, which is in modern Slovenia and Croatia. Like the benandanti, the kresniks were identified at birth by being born with a caul. They were called to serve at 7, 18, or 21. When the realm was threatened by particularly evil spirits, the kresniks would band together and journey across the sea in eggshells to battle demons in the air above St. Mark’s Square in Venice (an extremely sinister and evil location as anyone who has been a tourist in Venice will tell you). 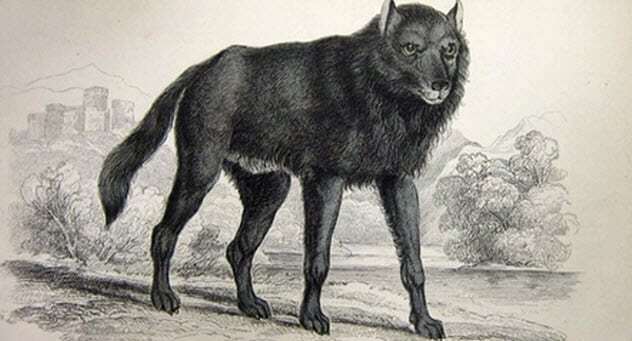 In some areas of Istria, it was believed that each kresnik had a werewolf-like evil counterpart called a kudlak. 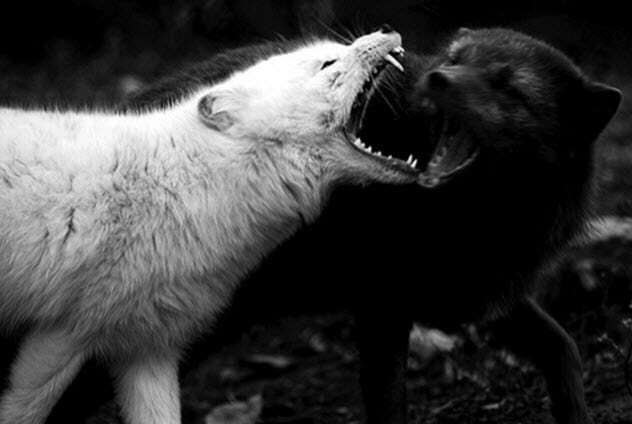 One kresnik and one kudlak were born into each clan at a time, and their spirits would frequently do battle in animal form to determine the fate of the family. Those suspected of being kudlaks were sometimes buried with their tendons severed so that they couldn’t return to walk the Earth. Chonrad Stoeckhlin was a peasant who lived in an isolated village in the 16th-century Alps. In 1586, he accused an elderly local woman of being a witch. 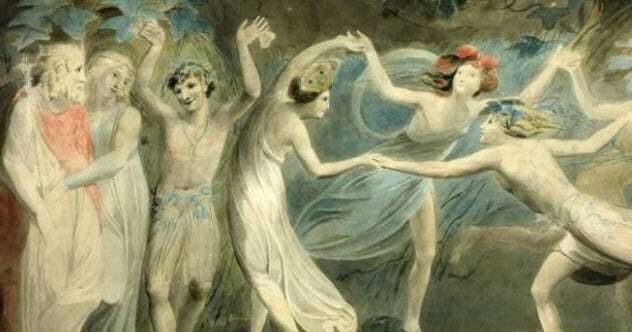 He explained that he had been told she was a witch by the phantoms of the night, a group of spirits who flew through the air above his village. Chonrad said that he would leave his body and journey to mysterious realms with the phantoms. He was genuinely surprised when his testimony got him arrested for witchcraft, too. According to Chonrad, his journey into the spirit world began when his dead friend appeared to him and ordered him to repent his sins. After he did so, he was visited by an angelic being with a red cross on his forehead who taught Chonrad how to leave his body and introduced him to the phantoms. In turn, they helped him to identify evil witches hiding in the area. Chonrad Stoeckhlin was executed as a witch in 1587. In the late 16th century, a werewolf panic swept through the town of St. Claude in the Franche-Comte of eastern France. At least one local was stoned to death by a mob of her neighbors after being suspected of attacking children in the form of a wolf. Several other accused werewolves were put on trial and tortured into confessing. Jacques Bocquet, a local healer or “cunning man,” said that his spirit had attended a witches’ sabbath while his body remained at home. Another suspect said that he often entered extended trances on certain days, such as Maundy Thursday. He described them as draining experiences from which it took days to recover. A different suspect, Pierre Gandillon, described transforming into a werewolf. According to Gandillon, he would enter a cataleptic state, lying completely rigid and unmoving on the bed. Then the Devil would clothe his soul in a wolfskin and he would journey to an evil sabbath. 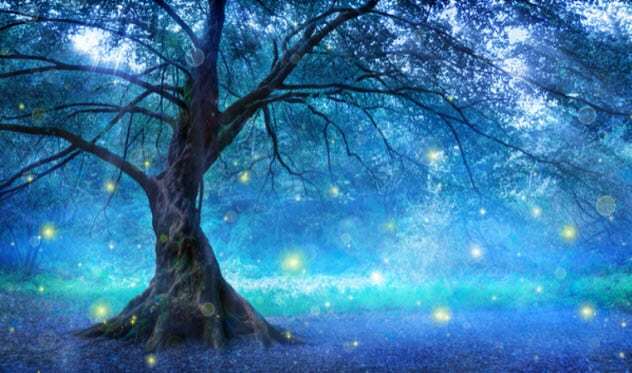 In Croatia, vilenicas were people capable of communicating with fairies (vila). Some remarkable testimony has survived, including that from a vilenica questioned by the Republic of Dubrovnik in 1660. The vilenica was a young woman in her twenties. She said that she was in communication with an entity known as Tetka Vila (“Aunt Fairy”), who appeared to her in the form of a nun. The fairy told the young woman to pick a certain pair of roots if she ever wanted to speak to Tetka Vila. At that point, she would appear and advise on healing and how to identify evil witches. I do not know if there are any witches or warlocks. Certainly not in public. But there is a witchcraft of some sort. They tie knots through some evil spells cast to forward marriage or obstruct it. [ . . . ] They do not apprehend that by collaborating with the Devil they bring evil. In 1390, the Inquisition in Milan questioned Sibillia (some sources spell it “Sibilla”) and Pierina, two well-off women who confessed to being part of a cult which met regularly in the houses of wealthy Milanese merchants. They said that the meetings were led by a mysterious woman known as the Madonna Oriente (“Lady of the East”) or the Signora del Gioco (“Lady of the Game”). The highlight of every meeting was a feast of beef at which the bones and hides were saved. At the end of the feast, the Lady would tap them with her stick, causing the cows to return to life. However, the resurrected cows were apparently unhealthy in some way as the testimony specifies that they were unfit for work. This specific act of magic is reminiscent of several figures in European mythology, most notably Thor. The importance of bones also recalls Siberian shamanism, which holds that the soul resides in the bones. 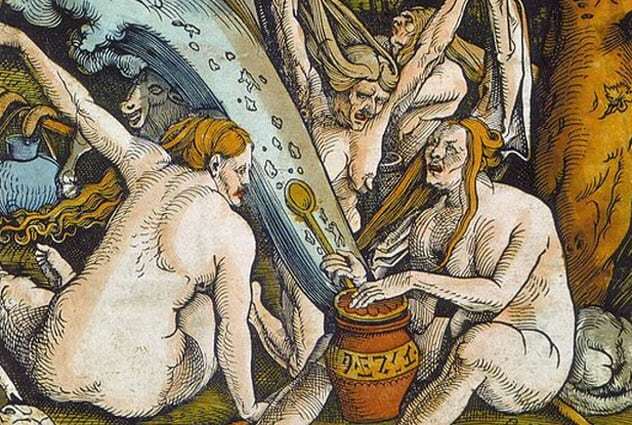 As a result, some writers have speculated that Sibillia and Pierina were part of an underground group with connections to ancient European shamanism. However, this is disputed. The Inquisition itself apparently decided the testimony was unreliable and released the two women. But they were rearrested a few years later and executed for witchcraft. 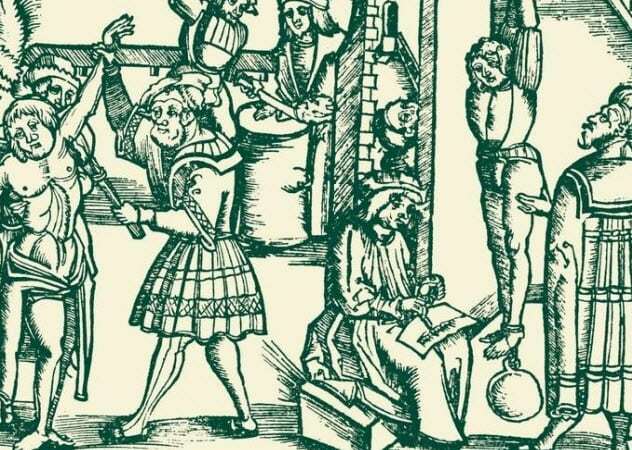 Read about more bizarre witch trials on Top 10 Strange And Terrifying Witch Trials Throughout History and 10 Unusual Male Witch Trials From Europe.